Rate excludes: Additional kilometres charged at 30.0 cents per kilometre, refuelling service charge, tolls , Rental Bond and other optional miscellaneous charges. One way rental: Not permitted. Vehicles are subject to availability at time of rental. 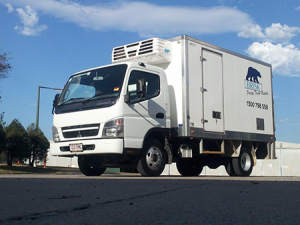 Renter must meet our standard Brisk Fridge Truck Rentals Pty Ltd ,age, drivers licence and credit requirements. Offer cannot be used in conjunction with any other offer, coupon or promotion specials or contracted corporate and industry rates. If the vehicle is returned outside agreed hours standard rental rates apply.